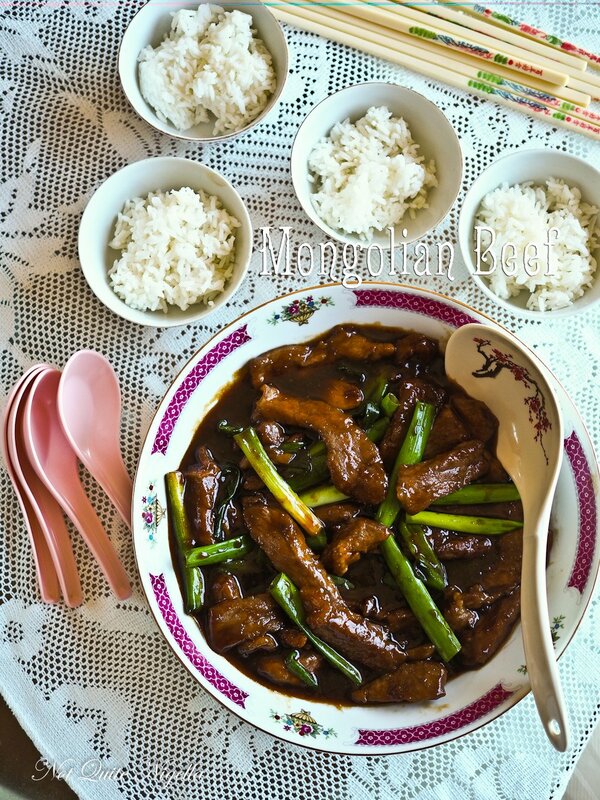 This Mongolian Beef recipe is a Dear Reader request from reader Terry who asked for a recipe a while back. It is such a classic recipe at Chinese restaurants, one that you hear before you see it as it is served on sizzling cast iron oval hot plate. It's also one of the quickest, easiest meals to have on the table! Despite its name, it doesn't have a lot to do with traditional Mongolian food. It's generally a Westernised version of Chinese food and is easily found in Australian and American Chinese restaurants. Sometimes lamb is used instead of beef. It's generally not a particularly spicy dish but I always remember burning my tongue on the meat taken from the sizzling plate as I would never blow on it long enough to cool it. What can I say? I was always an eager eater. My mother of course had a recipe for it. I assumed that it would be slightly complicated but actually it's ridiculously easy. 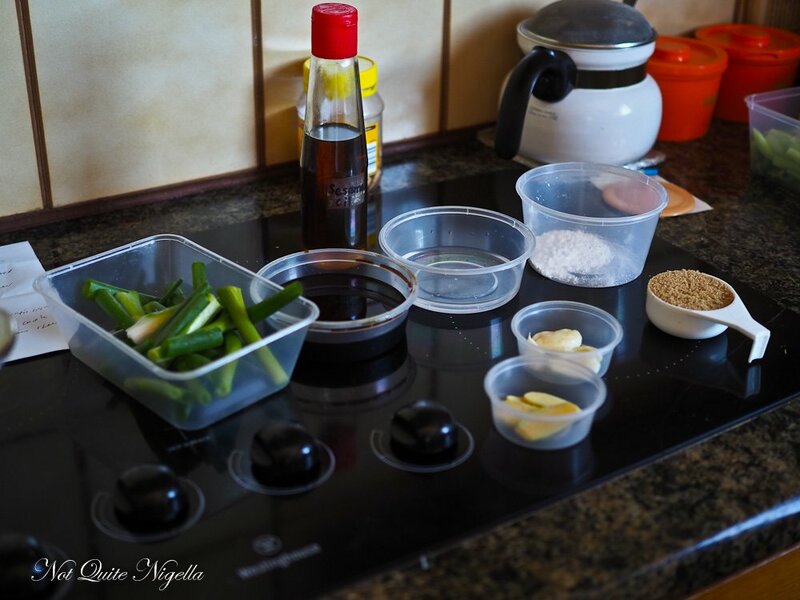 The sauce is made of soy sauce, water and sugar and like a lot of her recipes, once you have everything sliced and prepped, cooking is super fast in a hot wok. Depending on the cut of beef that you use, you can make it even more tender by using the velveting trick below with bicarb. The beef will melt on your tongue that way. If you use lamb you won't have to do this because it is a more tender meat but it's up to you. At the end of last year when I was New Zealand I saw lots of lamb. It was spring too so there were lots of baby lambs which we all cooed over. We were in the lush green countryside and saw all sorts of animals in paddocks. On the bus I said to someone, "Oh look there's venison!". She looked at me a little oddly. "Do you mean deer?" she said trying to stifle a laugh. Yup I had accidentally called the deer by the food name. Which spurred a conversation about beef vs cows, pork vs pig and lamb/mutton vs sheep but duck is duck and chicken is chicken! So tell me Dear Reader, do you prefer Mongolian beef or lamb? And have you ever wondered about why we call some meat by a different name? What are your theories? Step 1 - Mix the beef with the bi-carb of soda and let rest for 5 minutes. This step isn't necessary with a good cut of meat like an eye fillet. Then rinse well and drain of any excess water. Mix with the cornflour and coat all the pieces of beef. Step 2 - Heat oil in a wok or frying pan until very hot. Add the beef and fry for a minute and then add garlic and ginger and fry for another minute turning constantly. Add the soy sauce, water, brown sugar and green onions. Turn heat down to low. Mix the cornstarch slurry together (some of the flour sometimes settles on the bottom) and mix the cornflour to thicken the sauce. recipeA Dear Reader Request: My Mother's Spring Rolls! recipeMy Mother Shows You How To Cook 4 Chinese Vegetables! 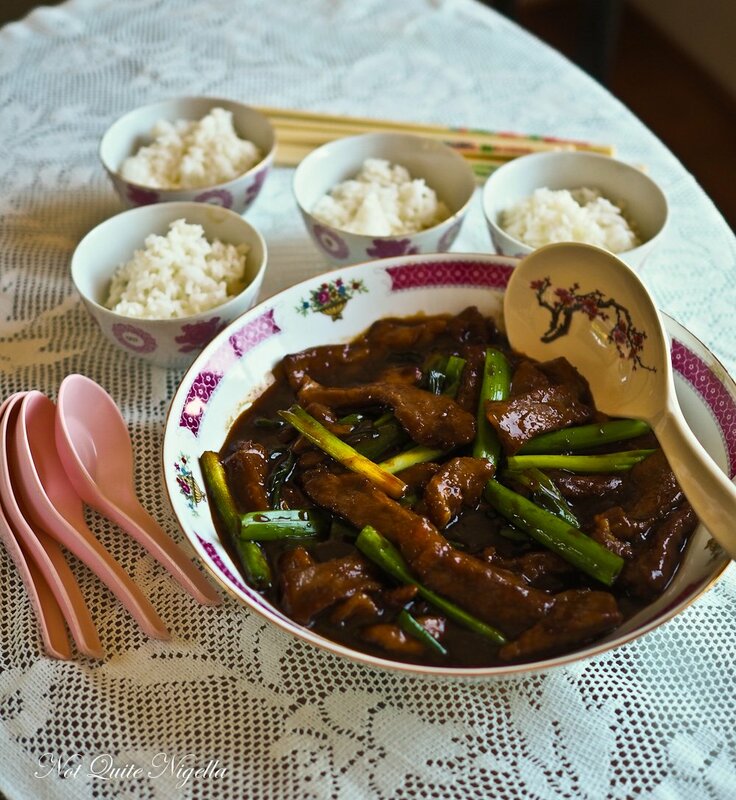 recipeHow To Make Chinese Restaurant Style Beef and Chicken! recipeWelcome To Our Chinese New Year Dinner! recipeMy Mother's Siu Mai Recipe!